 Welcome to New York Cruises Lines, Inc.!  We appreciate your interest and look forward to providing you with an exceptional experience on New York City's waterfront. New York Cruises Lines, Inc. is a subsidiary of New York Cruise Lines, Inc. Any references herein to New York Cruise Lines, Inc. shall include New York Cruise Lines, Inc., New York Cruises Lines, Inc., and all other subsidiaries / affiliates of New York Cruise Lines, Inc. which currently exist or may be formed in the future. INFORMATION THAT NEW YORK CRUISE LINES, INC. MAY COLLECT AND USE / DISCLOSE: New York Cruise Lines, Inc. may gather the information which you have directly provided including but not limited to your name, email address, phone number, mailing address, date of birth, credit card information, purchase and reservation information and other details you voluntarily provide ("Personal Information). At times New York Cruise Lines, Inc. may also collect information which cannot be used to personally identify a user such as your server or connection's unique identifier, the device, browser and version you are using, your location, the web pages you visited prior to arriving on the New York Cruise Lines, Inc. website and once you leave, action on the New York Cruise Lines, Inc. website, searches, and demographic information ("Other Information"). Personal Information and Other Information (hereinafter, collectively the "Information") is provided, together with other means, via web transactions, submission of online forms, emails, mail, phone calls, customer surveys, data collected by New York Cruise Lines, Inc. employees, newsletters, social media and referral sites. New York Cruise Lines, Inc. may also use technologies such as cookies or other similar mechanisms. A cookie is a piece of data sent from a website that is stored by a user's computer. The cookies allow New York Cruise Lines, Inc. to, among other things, remember your computer's preferences, measure effectiveness of communications, web features and settings, generate usage reports and gather statistical data. Please be aware that many web browsers provide the capability to configure your cookie settings, however disabling cookies may limit the functionality of the New York Cruise Lines, Inc. website. At times New York Cruise Lines, Inc. may permit third-party companies to place advertisements on our sites. Such companies shall have the ability to place their own cookies, however they would not have access to the information we collect through cookies. Such other cookies would be subject to that company's privacy policies. Our website may also use "tracking tags," which are invisible graphics embedded in the pages of our website that are programmed to collect non-personal information about your use of our website. These are also known as "web beacons," "action tags," or "single-pixel gifs." Like cookies, tracking tags provide overall usage patterns for our website that we use for analysis and to provide personalized services and advertising content. SECURITY: We utilize industry-standard storage and protection procedures for data in order to safeguard Personal Information on servers which are not accessible to the public. No data storage or transmission plan is without risk, In the event that there is a compromise or breach in the data environment, New York Cruise Lines, Inc. will take reasonable efforts to address the situation and to contact those affected. However, New York Cruise Lines, Inc. will not be held responsible for events arising from unauthorized access to information. Therefore, prior to submitting sensitive data that users would not want made public, users should recognize that such use of New York Cruise Lines, Inc.'s services and release of information is solely at your own risk. New York Cruise Lines, Inc. is authorized to use the information obtained in connection with providing mobile messages to you as described in this policy. PERMITTED USE: The website is available only to those persons who are eligible to form legally binding agreements based on applicable law. Those who do not qualify are not permitted to use the website. You agree that you are authorized to visit the website and that you are doing so solely for your personal use. You shall not copy, reproduce, republish, download, post, modify, or otherwise disseminate material from the website, including but not limited to: images, videos, or content, in any manner except for personal and non-commercial use without the express written consent of New York Cruise Lines, Inc. You confirm that you are in good standing with New York Cruise Lines, Inc. and have not previously been banned from use of any aspect of the service. NON-PERMITTED USES: You agree not to use the site for any illegal or non-permitted purposes. You will not use this website to copy, store, host, transmit, send, use, publish or distribute and material which consists of (or is linked to) any spyware, computer virus, Trojan horse, worm, keystroke logger, robot, rootkit or other malicious computer software. Repetitive data extraction devices or other means with similar functionality which may impinge on the proper use of the website are not permitted. INVESTIGATION AND REMEDY: In the event that New York Cruise Lines, Inc. believes that any aspect of the Terms have been violated, you agree to allow without prior notice and at New York Cruise Lines, Inc.'s sole discretion that any account or access may be blocked and tickets may be revoked which you agree to accept without refund or remedy. New York Cruise Lines, Inc. reserves the right to investigate and take the appropriate legal action in response to any suspicious or improper potential, planned or anticipated use of the Website. You also agree to enter into injunctive or other relief as deemed necessary by the laws governing such violation of the Terms. CONTENT, LISTINGS AND UPDATES: New York Cruise Lines, Inc. shall endeavor to maintain accurate and up-to-date information on the Website. However, in some cases the Website may contain false or defective information or servers or deliverables may contain viruses or bugs. In the event that you encounter any misinformation please feel free to notify: info@nycl.com. The Website may include third party links or content. New York Cruise Lines, Inc. does not certify the safety or validity of such data. Please note that in visiting the Website there may be content or links which some deem offensive, inappropriate, inaccurate, or otherwise harmful. You therefore access the Website under your own volition and at your own risk and agree that New York Cruise Lines, Inc. is not responsible and that you will not lay a claim resulting from use of the Website. New York Cruise Lines, Inc. reserves the right to edit or remove any material submitted to this website, stored on servers, hosted or published on this Website. WEBSITE OPERATIONS AND MAINTENANCE: New York Cruise Lines, Inc. strives to operate the Website 24 hours a day, 7 days a week. While New York Cruise Lines, Inc. shall not be liable for any consequential damages due to suspension of service, whether such suspension of service is temporary or permanent. In the event of required maintenance New York Cruise Lines, Inc. will diligently work to ensure that access is returned as soon as possible. NOT INTENDED FOR USE BY MINORS: While New York Cruise Lines, Inc. welcomes passengers of all ages, this website's products and services are directed for purchase by an adult market. Therefore, this website is intended for use by adults only. PRICES AND CURRENCY: All prices are listed on a per person basis and in United States dollars unless otherwise indicated. In some cases, additional taxes or fees may apply. Prices are subject to change and do not include tips or gratuities. At various times New York Cruise Lines, Inc. may offer discounts on entrance rates at New York Cruise Lines, Inc.'s sole discretion. The price of your ticket(s) will be confirmed at the time of purchase. New York Cruise Lines, Inc. reserves the right to correct errors in both advertised and confirmed prices, and will do so as soon as we become aware of an error. A total price of your ticket(s) will be given before you confirm your purchase which you may accept or not. COUPONS: Coupons are available only while supplies last and are valid as proscribed by New York Cruise Lines, Inc.. Coupons are limited 4 per customer unless otherwise specified. Customers must present the correct code for the discount to apply to the purchase. Coupons cannot be combined with any other special offers, discounts, or coupons. Coupons cannot be applied to previously purchased tickets. Coupons have no cash value. TICKET BOOKINGS AND CANCELLATIONS: ALL VOUCHER AND TICKET SALES ARE FINAL. NO REFUNDS, NO RETURNS, NO EXCHANGES, subject to the sole discretion of New York Cruise Lines, Inc. A ticket or voucher constitutes a revocable license for the specific attraction for which it is issued. New York Cruise Lines, Inc. accepts all major credit cards. The card holder must be authorized to make the purchase on the basis of these booking conditions by all persons named on the booking and by their parent or guardian for all party members who are under 18 when the purchase is made. In some cases, fees, taxes or charges may be assessed to transactions on the Website. Full payment is required to confirm a reservation. New York Cruise Lines, Inc. reserves the right to refuse admission and service to anyone and to remove and/or evict anyone not cooperating with the staff or not complying with the rules and regulations of the attraction specified on the ticket or otherwise engaging in illegal, disruptive, or dangerous behavior. A refund or exchange will not be issued due to a disruption or inability to attend, complete or fully enjoy the service provided by New York Cruise Lines, Inc., or its partners. Refunds are not available due to weather conditions. Resale of tickets or vouchers is expressly prohibited and would be subject to penalty. The customer is responsible for maintaining their ticket or voucher in a safe location and New York Cruise Lines, Inc. shall not be obligated to replace any tickets after initial issuance. Tickets are valid for one-time use per person and subject to additional rules and regulations. Patrons' use of the services provided by New York Cruise Lines, Inc. is at each patron's own risk. Children must be accompanied by an adult. New York Cruise Lines, Inc. reserves the right to change or cancel a service for any reason at its sole discretion, and in such event, New York Cruise Lines, Inc. will not be responsible for payment of any expenses, costs or losses incurred as a result of any change or cancellation. PROCESSING : When a customer submits a transaction the payment may be processed by a third party. The buyer may be subject to additional Terms and Conditions of such third party processor and should take the necessary steps to ensure compliance. CUSTOMER RESPONSIBILITIES: You certify that all customers associated with the purchased tickets are normally in good health and able to fulfill the physical demands of the experience. SPECIAL REQUESTS AND MEDICAL CONDITIONS: It is your responsibility to advise New York Cruise Lines, Inc. at the time of purchase of any special need or request for any member of your party. While New York Cruise Lines, Inc. will use reasonable efforts to comply with such requests, failure to meet any special request will not be grounds for a breach. Noting a request will not ensure action unless and until specifically confirmed by New York Cruise Lines, Inc.; all special requests are subject to availability. It is the responsibility of the customer to ensure all members of the party are in possession of all necessary travel and health documents before departure. New York Cruise Lines, Inc. cannot accept any liability or associated costs if you are refused entry onto transport or into the attraction country as a result of failure to carry correct documentation. CALL MONITORING AND RECORDING : As part of our continuing effort to ensure you receive the highest service standards, we may monitor and record your call for training purposes. COPYRIGHTS AND TRADEMARKS : The Website contains terms, images, logos, graphics, scripts and software which are registered and protected under U.S. and international copyright and trademark laws. You should assume that everything you see or read on this Site is protected by copyright unless otherwise stated and may only be used according to these Terms. Use of the Website to violate any third-party right, including any breach of confidence, copyright, trademark, patent, trade secret, moral right, privacy right, right of publicity, or any other intellectual property or proprietary right is strictly prohibited without the express written consent and accreditation of New York Cruise Lines, Inc. HOLD HARMLESS : To the fullest extent permitted by law users of the Website agrees to indemnify, defend and hold harmless New York Cruise Lines, Inc. and all associated entities, officers, employees, agents, subsidiaries, successors, assigns and sub-contractors as their interests may appear together with their partners successors and assigns, from and against any and all losses, claims, suits, damages, penalties, fines, judgment, liabilities, (including without limitation, death, personal injuries, expenses, attorney fees and costs) incurred in connection with the use of the Website or the services conveyed by New York Cruise Lines, Inc., directly or indirectly arising out of, alleged to arise out of or in connection with or as a consequence of the performance or non-performance of the use of the Website. DISCLAIMER : NEW YORK CRUISE LINES, INC. MAKES NO REPRESENTATION THAT THE WEBSITE, CONTENT, DOWNLOADS, TICKETS, EMAILS OR OTHER WILL BE ERROR AND/OR VIRUS FREE. THE WEBSITE IS CURRENTLY IN "AS-IS" AND "AS-AVAILABLE" BASIS. NEW YORK CRUISE LINES, INC. DISCLAIMS ANY WARRANTIES FOR THE SECURITY, RELIABILITY, TIMELINESS, AND PERFORMANCE. LIMITATION OF LIABILITY : New York Cruise Lines, Inc. shall not be liable in contract, tort, strict liability, warranty or otherwise, for any special, incidental or consequential damages, such as, but not limited to, delay, disruption, loss of product, loss of anticipated profits or revenue, loss of use of the equipment or system, non-operation, or cost of capital. Please note that some of the jurisdictions may not allow the exclusion of implied warranties, so some of above exclusions may not apply to you, however in the event that a portion of the Terms is not applicable all other sections shall remain in full effect. STATUTE OF LIMITATIONS : You agree to bring any and all claims or actions relating to the use of the Website within one (1) year after such alleged cause of action arose. If there is an outstanding claim from more than one (1) year of such action, then you agree that the statute of limitations would be exceeded and the claim will be barred. GOVERNING LAW : By virtue of confirming the order the customer enters into a binding contract with New York Cruise Lines, Inc. governed by these Terms which shall be construed and interpreted, and the rights and liabilities of the parties determined, in accordance with the law of the United States, to the extent applicable, and otherwise in accordance with the laws of the State of New York. All disputes arising hereunder, unless resolved by mutual agreement of the parties, shall be resolved by a Federal or State court in the City of New York, County of New York. You waive the right to trial by jury in any action that may be brought hereunder. ADDITIONAL TERMS : If any of the provisions of the Terms are prohibited by or held invalid under applicable laws or regulations, then that provision shall be considered inapplicable and omitted but shall not invalidate the remaining provisions. SUCCESSORS: In the event that New York Cruise Lines, Inc. is, or any component of our operation is, merged with or is acquired by another entity, then any such successor or acquiring entity may become the successor to our obligations with respect to the personal information that you have provided to us, which would be necessary for the entity to effectively continue our business. By using this Website, you consent to any such use of such personal information by such an entity assuming control of our operations as a result of a merger, purchase of assets, or liquidation in bankruptcy or insolvency. ENTIRE AGREEMENT : These Terms together with any other documents expressly referred to herein contain the entire agreement and supersede all prior agreements, conversations, and arrangements whether written or oral.